Edit: More info: I am working with a m140 diode and would like to run it at around 1.8A to 2A. Use the search bar, there are open-source drivers you can take a look at to learn off of before attempting to design your own. Thanks for the links. If I plan to run a m140 diode at around 1.8A and 4.5V, will this setup work? Yes, 9V in with that driver should run an m140 just fine. 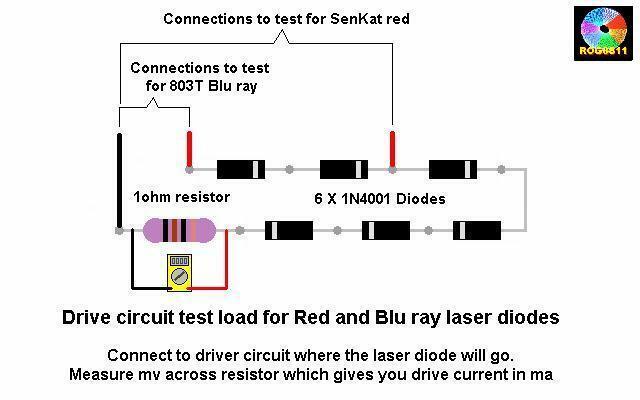 The best advice I can give it to test the circuit with a proper test load prior to connecting it to the diode. The driver is constant current so you don't have to worry about the voltage. Just keep in mind that it will be an inefficient setup. The driver is linear so it will turn excess voltage into heat. If you supply it with 9V and the diode is dropping 4.5V @ 1.8A, the driver will turn the excess voltage into heat, (9v-4.5v)*1.8A = 8.1W. That is a lot of heat. Also, a 9v battery won't cut it. It cannot handle that much current draw. You're better off using Li-ion batteries. But doesn't the regulator use 3V and don't I need an additional 1.2V? Also is that a 10microfarad (10μF) or 10 millifarad (10mF) capacitor?